Having recently discovered one of Porth Veor Manor’s past owners was published author Charlotte Mary Matheson, we were delighted when we were able to make contact with Charlotte’s Grandchildren who were able to fill in a little more about their Grandparents time at the hotel. Excitingly, Granddaughter Rachel has a chalk drawing of Porth Cottage dating from 1931 by Just William illustrator, Thomas Henry Fisher, or just ‘Thomas Henry’ as he was known. Grandson Simon told us his father Stephen remembered it being drawn. The illustrator is more generally known for his depiction of grubby kneed mischievous schoolboy William but was also an illustrator for Punch magazine as well as having pictures hung in galleries, one at The Royal Academy. He later drew cartoons for The Football Post as well as illustrating other children’s books and postcards. Porth Cottage today is still recognisable from the chalk picture Thomas Henry Fisher drew all those years ago. Our photo shows the cottage from the side with the path and front two windows visible as seen in the chalk drawing. The garden wall was a little higher in the 1930’s but Thomas Henry has captured the character of the the old fisherman’s cottage which we believe dates back to the 17th century. Another piece of the Porth past puzzle! Stanley Threlkeld and Charlotte Mary Matheson moved to Porth Veor Manor in the 1920’s. 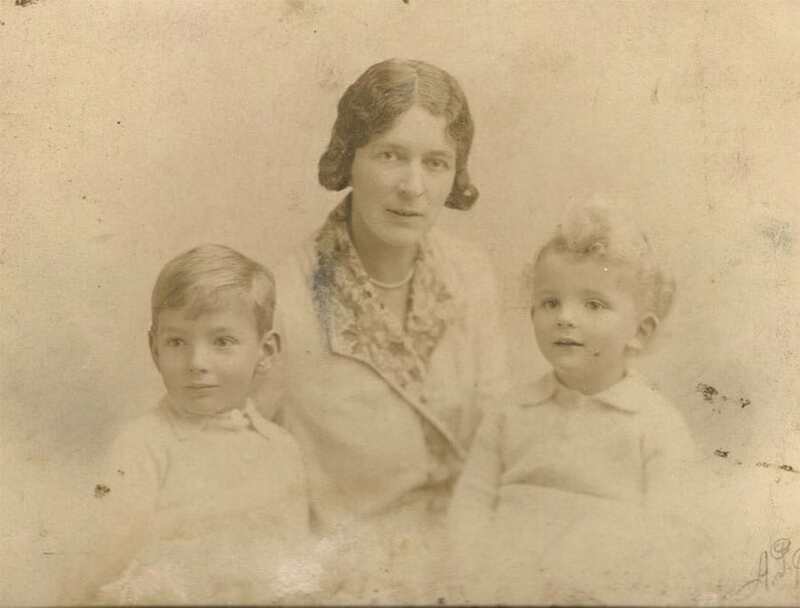 The couple married and lived in and ran the hotel and Porth Cottage throughout the 1920’s and 30’s, bringing up their two children Stephen and Felicity there. By the time Charlotte moved to Porth she had already written several books, something we discovered continued to run in the family with son Stephen having several poems published in different anthologies and Felicity also having several published stories. Stanley remarried and continued to run the hotel for a little while after Charlotte’s early death from breast cancer. His daughter, Caroline, believes this was until the late 1930’s, possibly 1939. Many thanks to Rachel Threlkeld, Granddaughter of Stanley and Charlotte, for her help and for a copy of the chalk drawing. Thanks also to Simon Threlkeld, Grandson of Charlotte and Stanley for his help.